Championing the public good starts with your own education. Do you want to bring positive change to lives around the world? Championing the public good starts with your own education. Passionate about the great outdoors, Emily Hall is earning a Ph.D. in biological sciences at Washington State University. It will prepare her for work saving the wetlands. As soon as she could walk, Hall was out in the forest and along the banks of the river, looking for slimy things under logs and playing in the water. Her research examines the effects of road salts on frog populations. There are plenty of reasons to be concerned about the amphibian populations, Hall says. Frogs often act as sentinel species, she explains, which means they’re the first species to be affected when something goes awry in the environment. If the frogs are dying off, that means the rest of the ecosystem is often at risk. Hall’s research is finding that road salt is a stressor that makes tadpoles more susceptible to disease. When thinking about the future, Hall has big ideas. 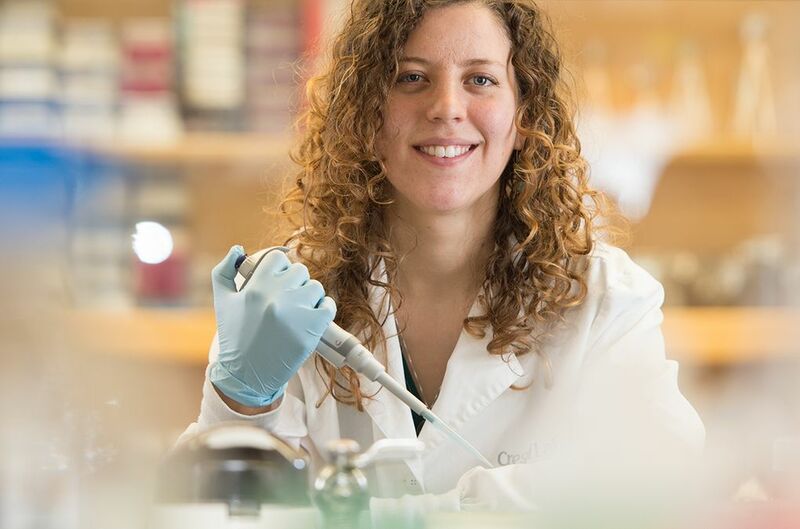 Her groundbreaking research plays a key role, but she would also like to have a hands-on part when it comes to training the next generation of scientists. Ian Richardson seeks ways to replace fossil fuels with hydrogen. The WSU materials science and engineering doctoral student led a team that won an international design contest for transportable hydrogen fueling stations. Richardson has since made a number of breakthroughs in the field of cold fuel research, earning national recognition. Richardson attended WSU as an undergraduate, majoring in mechanical engineering. Before his senior year, casting around for post-graduate ideas, Richardson reached out to a brand new WSU professor, Jacob Leachman. Dr. Leachman hired Richardson to help set up his lab—now known as the Hydrogen Properties for Energy Research Lab. The two have been working together ever since. Liquid hydrogen is the fuel of choice for NASA, is used for energy storage, and is key to a number of industrial applications. An inability to construct cost-efficient fueling stations is the largest practical obstacle to the widespread adoption of its use for zero emissions automobile technology. When the 2014 International Hydrogen Student Design Contest for transportable hydrogen fueling stations was announced, Leachman asked Richardson to lead WSU’s project team. The design won the competition. In 2014, Richardson became WSU’s first recipient of a NASA Space Technology Research Fellowship, which supports his work in making fundamental measurements of hydrogen-helium mixtures that occur in rocket fuel tanks. In 2015 he worked as a summer intern at NASA’s Glenn Research Center in Cleveland. A crowning achievement also came that year, when Richardson won the top award in the U.S. for students studying cryogenics, or materials at very low temperatures. Joseph Taylor lights up when he talks about bugs. 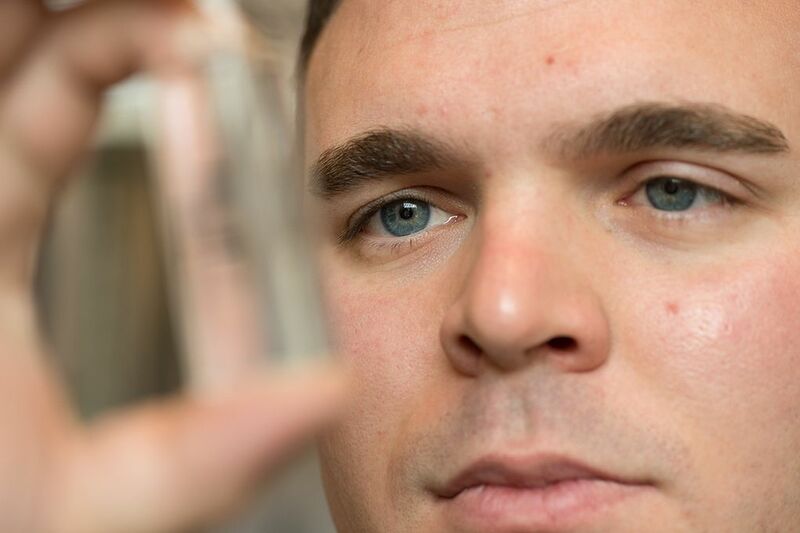 The WSU doctoral student’s research on insect predators has earned him prestigious awards. Ultimately, it could result in more ecologically friendly, sustainable farming practices. Taylor is studying Carabid beetles, which play a beneficial role in agriculture by feeding on insects that could destroy crops. However, these natural predators can also consume smaller, crop-friendly beetles. Working in Dr. William Snyder’s lab in the Department of Entomology, Taylor is looking for ways to help Carabid beetles target their feeding habits. If successful, the beetles could help farmers reduce use of broad spectrum pesticides. 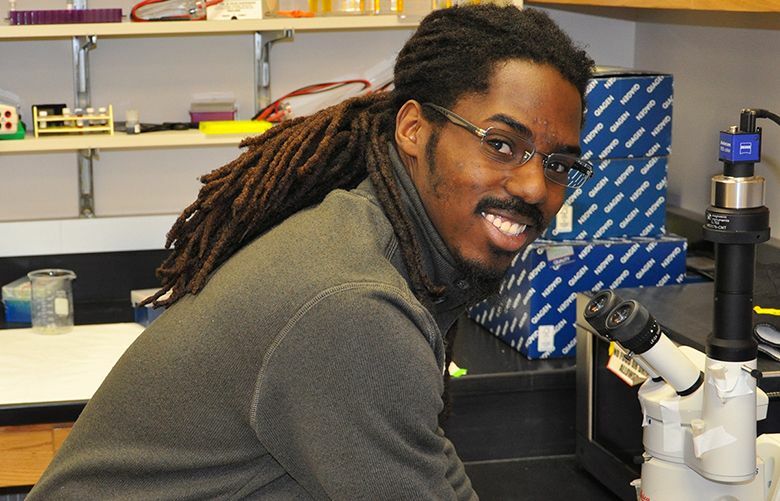 The National Science Foundation awarded Taylor an NSF Graduate Research Fellowship, which supports the nation’s most promising graduate students pursuing degrees in science, technology, engineering, and mathematics (STEM). In 2016 nearly 17,000 students applied for the fellowship. Taylor was among 2,000 selected to receive an award. The WSU Department of Entomology nominated Taylor for another prestigious award: the Achievement Rewards for College Scientists scholarship. The ARCS Seattle chapter awarded Taylor the honor, which supports Washington’s top doctoral students in STEM disciplines. Awards are fully funding the cost of Taylor’s research. Ultimately, Taylor’s investigations may yield pest management solutions that are more efficient for farmers and result in a more healthful food supply. Graduate-level research touches lives around the world. For example, Washington State University scientists have pioneered development of environmentally friendly jet fuel. Others have found ways to thwart emerging infectious disease threats. You can even find the fruits of research in your local grocery store: delicious apple varieties that maintain their texture and flavor in storage. The state of Washington has a shortage of people with graduate degrees. The chances of receiving a good-paying job with a graduate degree are high. Master’s graduates earn an average of more than $67,000 annually – $11,000 more per year, on average – compared to those with bachelor’s degrees. Doctoral graduates earn an average of $92,000 a year, while those earning professional degrees earn an average of about $100,000 yearly. Researchers – both faculty and students – are making discoveries that address critical societal problems. University research buoys the economy by partnering with many of Washington state’s leading industries, including agribusiness, aerospace, health care, software and construction. Join them in striving to make Washington a better place to live and work. Learn more at gradschool.wsu.edu and at online.wsu.edu/grad.